These are my first projects using thread in the context of photography. 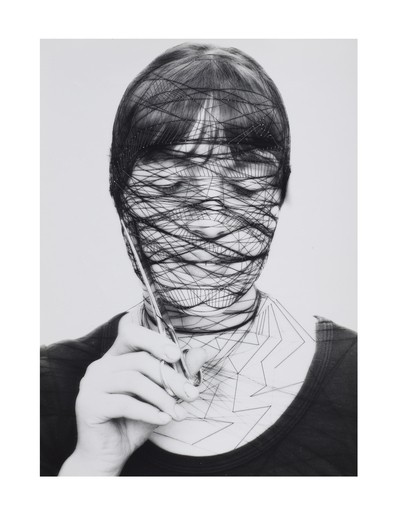 Using gray silk thread, I overstitched self-portraits and created a filigree of threads over my own face. I started with a photograph taken during a performance piece, and stitched over the thread in the photo using real thread. The reverse side shows the traces of the work on the front side as a spontaneous haptic drawing, an unconscious by-product of the main piece.